Skyhouse is closing in January 2017. We've met so many wonderful people. Heartfelt thanks for coming to stay. Wishing you the best. The Skyhouse Team. Arrive on foot, by bike or Electric Vehicle and enjoy 10% off your first night's stay with us. Not valid with any other Skyhouse Offer. Elegant hampers delivered to Skyhouse, including starter, main and dessert. £35.00 p.h. 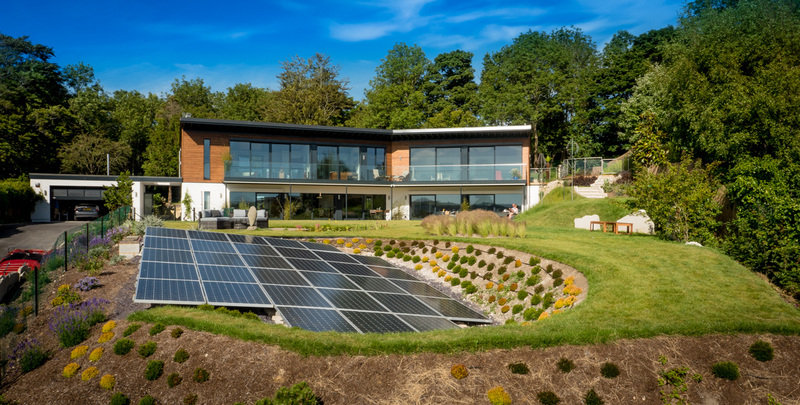 Our dream was to build a low carbon, sustainable home that would offer an exceptional place to stay and inspire visitors to take greener action in their lives. We extend a warm welcome to all our B&B guests. 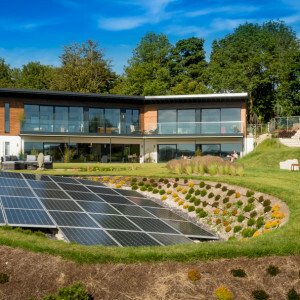 Please call 07468 691 860 or email stay@skyhousesussex.com You can check availability and use our online bookings system here.